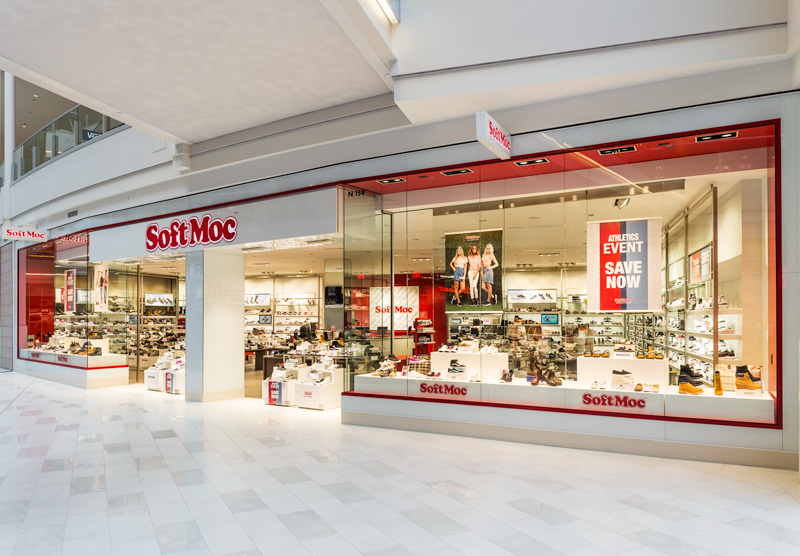 Elder-Jones just helped complete the build-out of the first SoftMoc store in the United States, located on the first floor on the north end of Mall of America in Bloomington, Minnesota. SoftMoc is the ultimate lifestyle footwear destination for women, men and kids! With the best brands and largest selection of athletics, casuals, boots, sandals and more SoftMoc is a favorite one stop shop. With over 120 stores throughout the provinces in Canada, SoftMoc has ventured across the border to its southern neighbor. SoftMoc is unique to Elder-Jones in many ways, the most notable being they only furnish the cash registers for their build. Everything else is GC-furnished. Elder-Jones sourced the light fixtures, millwork fixtures and furniture, metal fixtures, and back of house shelving fixtures with a mixture of suppliers from the U.S. and Canada. We had an excellent first store build with SoftMoc and the initial feedback received was they are extremely satisfied with our quality, attention to detail, and our communication throughout the process. We wish them many years of success with their brand!